Big event coming up soon? You're planning the theme, booking a venue, finding a date, collecting money, while juggling classes and tests. Let us help make your life a little easy, because we know the last thing you need to worry about now is getting everyone to the party and everyone getting home safely. Luxury Savannah limousine service will get everyone there in style - the perfect limo or party bus to match those stunning dresses! 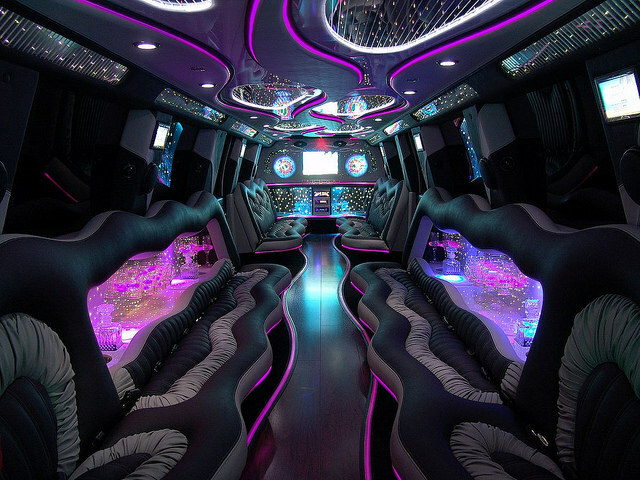 In addition to limousines, we can accommodate your sorority and fraternity on our stretch Expedition! Why drive? Sit back and relax knowing all of your friends will make it home after this amazing night! Serving all of southern Georgia - don't hesitate to inquire. No! Valdosta State, Georgia Southern University, South Georgia State, Savannah State and even University of Georgia are just a few colleges we serve. Whether you're in Georgia or Florida, we are the finest limousine company in Georgia. We have a big group. How many can fit on your limo or stretch Expedition? We have many options for sizes of limos and busses. From 6-20 guests, we can accommodate. Have a group larger than 20? Talk to us about prices for reserving 2 limousines. Can we drink on the Luxury Savannah limousines? If you're 21 or older, it isn't our place to stop you from having a good time. However, underage drinking is not tolerated. The vehicles have a wet bar that can be stocked with glassware and ice. We need group transfer for a sorority or fraternaty retreat. Can you help? Yes, of course! Need to move a dozens people in a private luxurious van? Our Mercedes Sprinter vans can hold up to 14 guests. Give us a call now to make arrangements.